Short description:One can see cult stones. The grey and brown triangle stone is called stone Āžmugura. 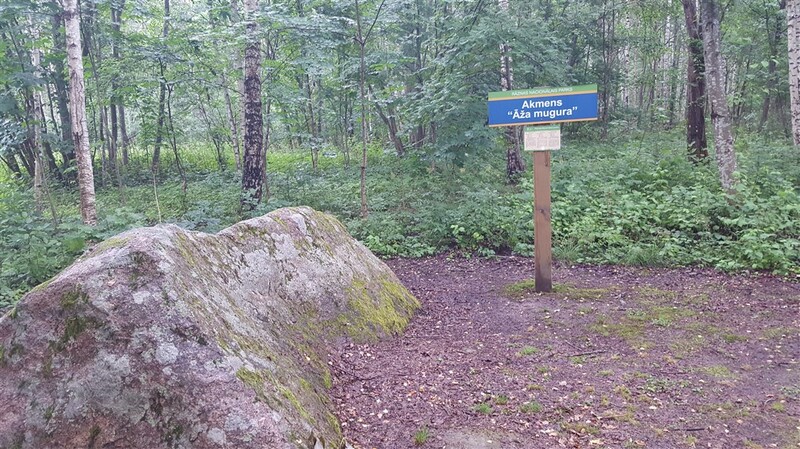 The flat one named Platais akmens (wide stone- engl) is located at the small bog 200m from Āžmugura.